This made an excellent little appetizer bite tonight for a get-together we went to with some of our friends. We decided to cook based on a theme and that theme was “stuffed” since our dear friend, Cali, will have her baby in about three weeks. I made these roasted peppers and some high-class pigs in a blanket and a truly college-essence PopTart cake, which I’ll post pics of tomorrow. The peppers were a hit. I tried them first with bacon and it was too greasy. The proscuitto was just right, a perfect blend of salty and sweet and were gone in minutes. 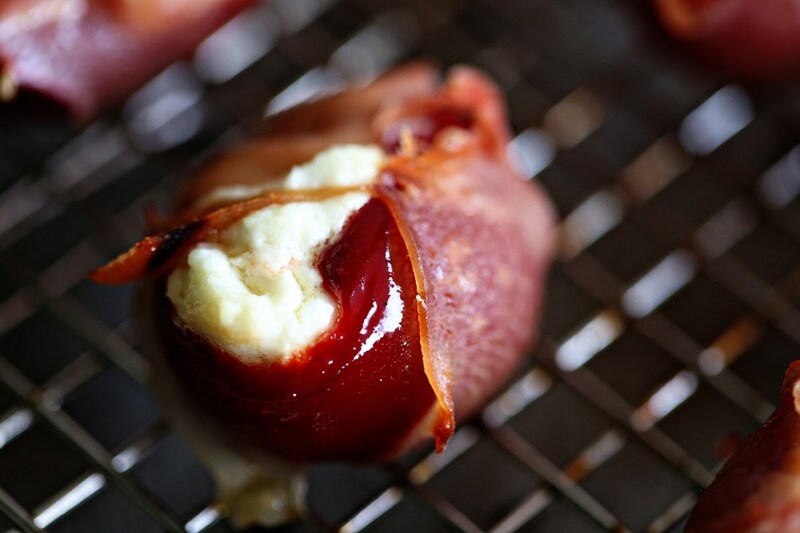 I think it would make a great addition to a Superbowl spread so I’m giving you the simple recipe here! Get the goat cheese up to room temp and in a medium bowl, add the garlic oil, or olive oil and minced garlic and stir well to combine. Drain the peppers and dry on lots of paper towels and fill each pepper with goat cheese until full. I used a spreader and it worked great. Take a thin strip of proscuitto and wrap around the peppers and place on a greased baking rack fitted on top of a rimmed baking sheet and bake at 375 until proscuitto crisps up, about 20 minutes (check to make sure they don’t burn). 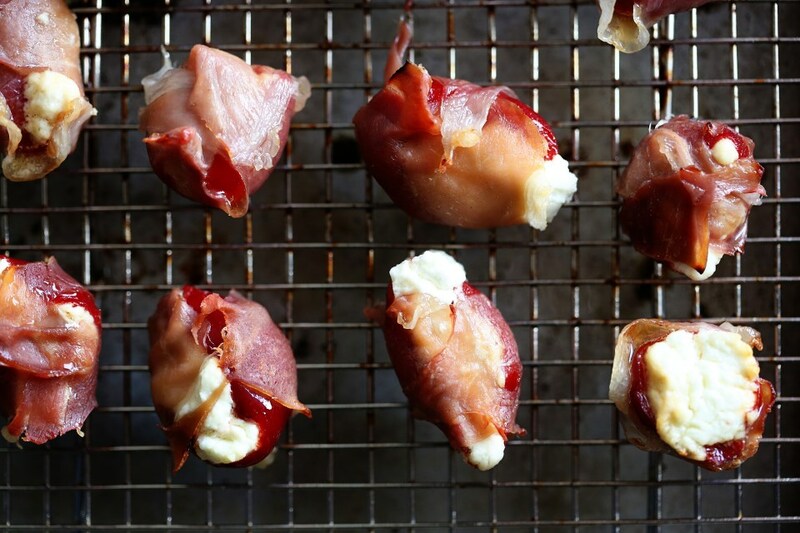 Also: try to keep the top of the peppers up – the goat cheese will melt and drip mostly out if you don’t!